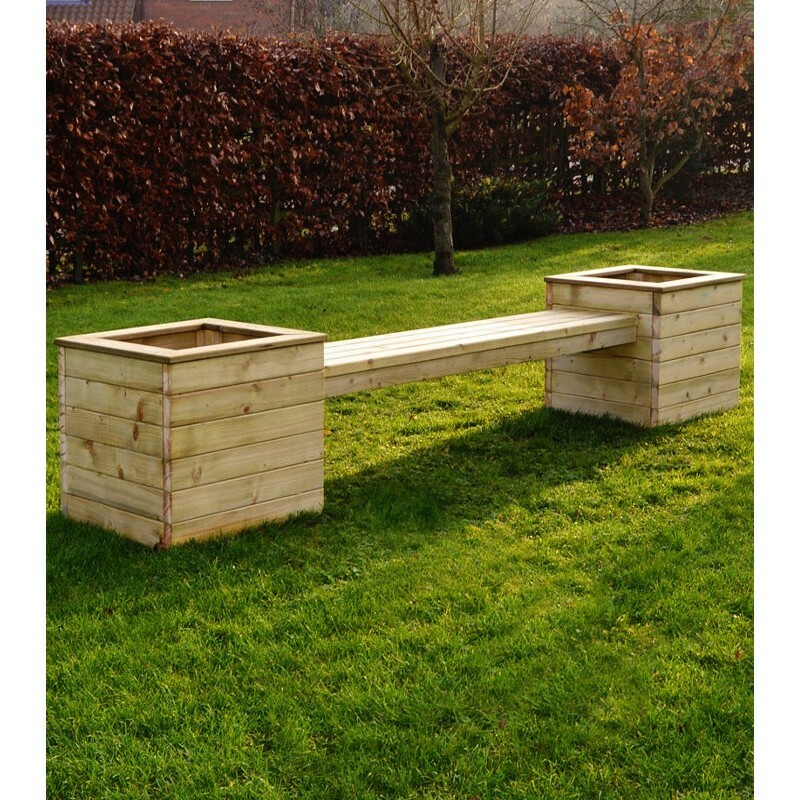 Double planter with 6 foot seat. 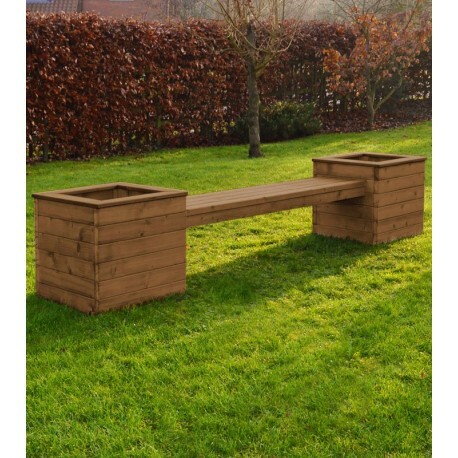 Consisting of a pair of distinctive square planters with an adjoining bench unit, our planter seats makes an attractive feature in any garden. 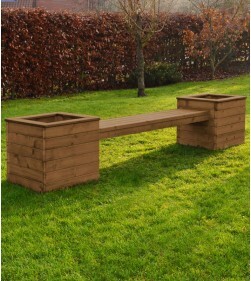 The planter sections are large enough to accommodate large shrubs or small trees.